Bangkok is the capital of Thailand or Siam is well known for its long history, it’s 1568.7 km² and 8 million people live in this lively city. 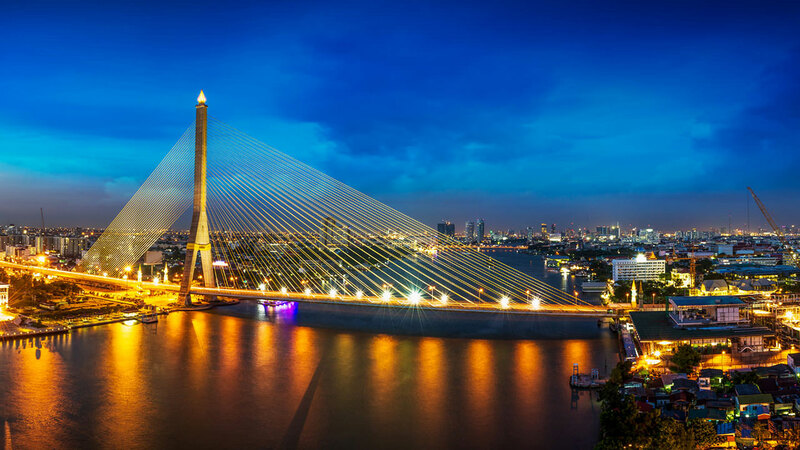 Bangkok offers two airports located in opposite sites, one in the South and the other in the North of Bangkok, where most visitors stopover and catch their next flight to their next holiday destination. Bangkok has many famous temples, old and new ones, the king palace is also located in Bangkok. When planning your getaway in Bangkok, keep in mind traffic jams happen around 8 am and also 5 pm, that way you try to avoid them in order to have a more pleasant experience. We hope you enjoy your stay in Bangkok, Thailand. Accommodation for Bangkok Wedding Destination – most hotels in Bangkok are high towers that will amaze you with 360º rooftops city views. Bangkok Marriage Packages will be very meaningful for all the visitors looking for weddings in a different country, emerged in exotic traditions, different from your home town. You are in the right place, as we offer the most creative and modern designs for your wedding set up and arrangement. Buddhist Blessing Ceremony : Have a traditional Thai wedding in one of Bangkok’s Buddhist Temple and be blessed with good luck, good love and good life by the monks. Pre Wedding Photoshoot : Many places in Bangkok offer amazing view and location for the perfect background for your photos. Extraordinary service with the super professional team of photographers will make your Pre Wedding Photo Shoot day an unforgettable one. Religious Marriages : Marriage is the union of two different surnames, in friendship and in love, in order to continue the posterity of the former couple, and to furnish those who shall preside at the sacrifices to heaven and earth, at those in the ancestral temple, and at those at the altars to the spirits of the land and grain. Browse our Bangkok Wedding Packages Showcase - Married Couple at Bangkok, Thailand.